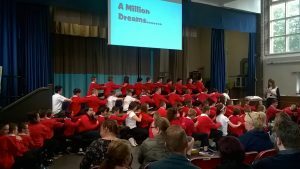 Every year we are amazed and inspired by how people are using the Story Massage programme to share the benefits of positive touch with children and adults. We are delighted to announce our new Best Practice Winners who have worked with such passion and commitment that we feel they deserve special recognition. 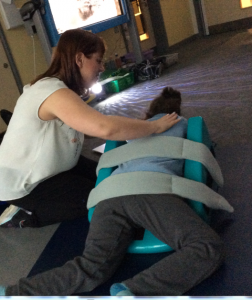 Becky is a teacher who uses Story Massage with her class of 15 learners with PMLD (Year 1 – 6) at Springside Primary School. She particularly enjoys using Story Massage as uninterrupted one-to-one time with the pupils. 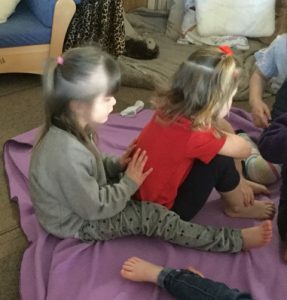 Becky also find Story Massage very helpful at home with her own two children aged 4 and 7 years. Astrid uses Story Massage within her work as Life Skills Lecturer at Hertford Regional College, helping young people with severe learning difficulties to gain personal confidence and social skills, independent living skills and skills for life and work. Astrid is so passionate about Story Massage that she organised a group training for her colleagues at the college. Serena has a varied working life as a Relax Kids and Mindfulness Coach. Serena runs regular Story Massage sessions in primary schools as well as community classes for children and adults. She was funded to run 15 Story Massage sessions in prison visiting rooms and felt really touched on one occasion when she watched a family of Mum, Dad and four boys all sitting in a row massaging each other. 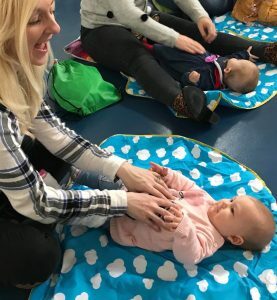 Tracey says that Story Massage works really well as a follow on to her five week Baby Reflexology Classes. 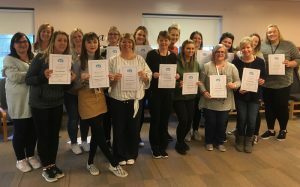 Tracey recently retired from her job within the community nursing team at a Special School where she worked for 13 years and decided to take the online training course. She feels inspired by the opportunities offered by Story Massage and has lots of plans for the future! 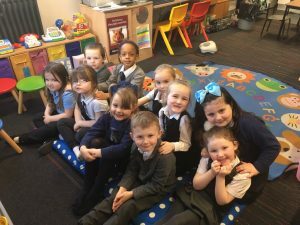 Hazel is a Relax Kids Coach and independent nurture practitioner based in a school campus in Glasgow which encompasses two primary schools, a nursery and a Learning and Communication Unit. Hazel will be leading a workshop with Vicky Mulholland on Writing Scripts for Difficult Situations at our Story Massage Conference in May 2019. 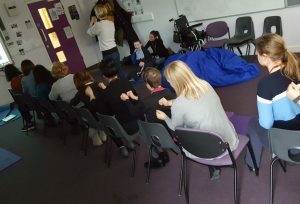 Diane uses Story Massage with her class at Millwood School to bring a sense of calmness and relaxation to her class of 7 learners (Year 4 – 6) with PMLD in a busy environment. Diana says that both children and staff benefit from sharing a peaceful time together. 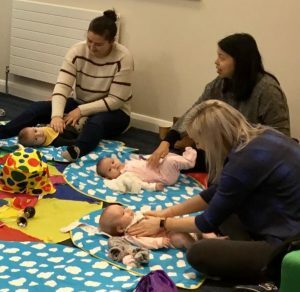 Christine is an Early Level Practitioner working with children aged 3-5 years who attend Shotts Family Learning Centre. 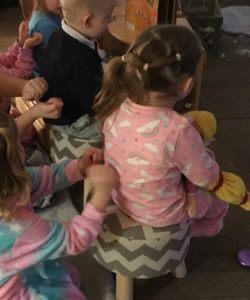 Christine has run workshops for parents and carers with excellent feedback about how Story Massage has helped with bedtime routines and sleeping patterns. 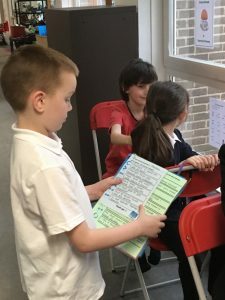 The benefits for the children and families using the centre have been so noticeable that all the staff recently attended an INSET training day with colleagues from Dykehead Primary School.